What good is the slightly annoying and creepy Facebook Places feature if you can't turn it into some sort of competition? Well, with the InCrowd iPhone app, you can do just that. 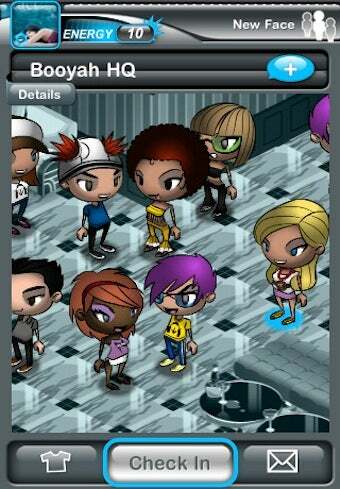 The app allows you to create a little avatar who can interact with nearby friends' avatars and allow you to earn popularity points by fist bumping, winking, and high-fiving your way through the virtual crowd. The whole thing looks silly and cute enough to lure you into using Facebook Places for at least five minutes.